Honolulu-based law firm Kleintop & Luria, LLP provides a comprehensive array of family law services throughout Oahu and the other islands of Hawaii. The firm's litigation attorneys assist clients in every arena of family law, including: -Divorce -Property division -Debt allocation -Child custody -Child support -Orders dividing retirement plans -Premarital and postmarital agreements -Paternity -Adoptions -Guardianships Additional services include providing estate planning services in preparing wills, creating revocable living trusts, and advising clients on methods of avoiding probate administration. Where appropriate, the firm also provides alternative dispute resolution services in arbitrations and mediations. The attorneys at Kleintop & Luria, LLP bring to their clients more than one hundred years of combined litigation experience, earning them a reputation throughout Hawaii for excellence, professionalism, and the highest standards of integrity. Each of the firm's partners were recently honored by The Best Lawyers in America, the preeminent peer-rated legal referral guide, and their team approach to litigation, unique among firms of this size, ensures that clients' best interests are protected. For a team of qualified and experienced legal professionals, contact Kleintop & Luria, LLP today for assistance. Experienced Litigation Attorneys The lawyers at Kleintop & Luria, LLP have earned national recognition for their wealth of litigation and trial experience. Charles Kleintop, the firm's Managing Partner, has an AV rating from Martindale-Hubbell, and was named to Hawaii's list of 2008 Super Lawyers. The firm's partners were listed in The Best Lawyers in America, a well-respected peer-review publication that compiles an annual list of outstanding attorneys. Two of the firm's lawyers have clerked with Justices of the Hawaii Supreme Court, and others serve as arbitrators for the State of Hawaii Court Annexed Arbitration Program. Versatile Practice Kleintop & Luria, LLP assists clients with a wider range of complex family law matters than most other firms in Hawaii, often handling contentious divorces involving complicated financial and child custody issues. The firm also prepares orders dividing retirement plans, including ERISA qualified plans, military retirement, and federal civil service. Additionally, it is one of only a few firms in Hawaii that drafts pre- and post-marital agreements. A Commitment to Client Service Kleintop & Luria, LLP prides itself in offering exemplary client service. The firm's lawyers work tirelessly to ensure that every case receives the attention it deserves, frequently traveling to other islands to represent their clients, providing each with personalized representation. For client convenience, Kleintop & Luria, LLP also has a fluent, Japanese-speaking attorney to assist clients. If you need legal representation in connection with a family law or estate planning matter contact Kleintop & Luria, LLP today. We assist clients with a range of family law and estate planning matters, offering many legal services that other firms in Hawaii do not provide, such as orders dividing retirement plans and premarital and postmarital agreements. Charles T. Kleintop is a Managing Partner at Kleintop, Luria & Medeiros, LLP, who received his Bachelor of Arts degree from Lehigh University and his Juris Doctor degree from Georgetown University School of Law in 1970. 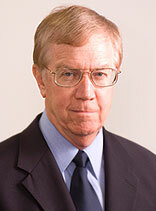 Mr. Kleintop served as a military judge and is an arbitrator for the State of Hawaii Court Annexed Arbitration Program. He also served as a Chairperson of the Family Law Section of the Hawaii State Bar Association. Additionally, he has received the distinction of being named in Hawaii's Super Lawyers of 2008, and has been listed in The Best Lawyers in America since 1987. Mr. Kleintop has also attained the highest possible rating of "AV" from Martindale Hubbell, the national directory of attorneys, indicating preeminent legal ability and the highest standard of ethics. Mr. Kleintop is admitted to practice law in all state courts of Hawaii, the District of Columbia, and California. He is also admitted to practice before the U.S. Court of Military Appeals.